 The 2019 State Youth Brass Camp & Tour will be heading over to Kangaroo Island from 15th to 20th January 2019. This annual brass band summer camp and tour provides a unique opportunity for young brass band musicians. Currently there is much on offer for young wind musicians generally, such as the Adelaide Youth Orchestras, the Adelaide Wind Orchestra, and many school-based ensembles and festivals, but there is nothing distinct for brass band youth. Furthermore, brass band instrumentation is generally not accepted in many ensembles, therefore limiting opportunity. or click this LINK to submit your application to be involved. Participants are required to provide their own transport to the Sealink Ferry Terminal, Cape Jervis, on Tuesday 15th January for a 9AM departure. Car-pooling will be possible and participants should indicate if they would like assistance with transport. Coach transport will be provided for the duration of the time on Kangaroo Island. Accommodation is at Parndana Campsite. This is basic bunkhouse accommodation and participants are required to bring their own bedding. There is a swimming pool available for use and participants may also have the opportunity to swim in the sea. Participants are required to bring their own lunch on Day One, however for the remainder of the camp and tour, all food will be provided. Note – you don’t need to have actually done an exam, you just need a teacher or your conductor to verify your playing standard. Applicants are encouraged to indicate conducting experience for consideration as co-conductors. The aim is to keep the cost as low as possible, therefore fundraising and sponsorship is still being sought. Final figures will be notified after the closing date (fees are also dependent on numbers in attendance). Successful applicants may wish to seek financial assistance from their community band.